Founded in 1880 as the American Society of Mechanical Engineers, today's ASME is a leading provider of technical information, training, and education for the engineering profession. Through their products, services, and programs, ASME offers you access to an assortment of resources, which enable you to maintain a competitive edge, enhance career development, and stay connected to a global network of peers. Consumer Electronics Association (CEA) membership unites more than 1000 companies within the U.S. consumer technology industry. Tap into valuable and innovative member-only resources: exclusive information and unparalleled market research, networking opportunities with business advocates and leaders, up-to-date educational programs and technical training, exposure in extensive promotional programs, and representation from the voice of the industry, CEA, promoting and advancing member needs and interests. Invest in the Consumer Electronics Association to strengthen your business' future and to help ensure technology's brightest future. The EDA Consortium represents this vital industry on a worldwide scale. It is the international association of companies developing design tools and services that enable engineers to create the world's electronic products. The EDA Industry provides the critical technology to design electronics that enable the Information Age, including: communications, computers, space technology, medical and industrial equipment and consumer electronics. MISSION:To promote and defend the vital interests of the European electronic components industry and to support its competitive position in the global marketplace. UNDER THE ROOF OF EECA, there are 2 autonomous industry associations with members coming from the manufacturing and related industries as well as from national associations. The EIPC is a network of PCB professionals providing platforms to exchange business and technology information for the success of the European electronics industry. The FED sees it as a task and duty, by offering vocational training and training, through the provision of practical guidelines and IPC by promoting of experience a significant contribution to the competitiveness of the electronics to ensure industry. GEIA represents the "high-tech" industry doing business with government. Our members are companies which provide the government with electronics and information technology (IT) solutions. In partnership with our member companies and their government customers, GEIA studies the market for IT, enabling technologies, and advanced electronics products and services for defense and civil government agencies. We then produce annually a 10-Year Defense Electronics Forecast, a 5-year Federal IT Forecast, and an Enabling Technologies Forecast, as well as special market studies such as Services & Support, Information Assurance, etc. We connect industry to government through this unique forecasting process, in which our members conduct hundreds of customer interviews. provide industry with proven solutions to business process challenges. Configuration Management, Systems Engineering, Systems Safety, Earned Value Management, and other key standards have been created and/or updated in recent years. These represent areas in which the association has become recognized nationally and internationally for its leadership and expertise. GEIA forms the government market sector of the Electronic Industries Alliance (EIA), which represents an array of high technology trade associations serving the needs of member companies in the telecommunications, consumer electronics and component parts industries. A project oriented industry consortium addressing the integration of new electronics component packaging and interconnect technologies into member company supply chains. Membership includes the leading OEMs and companies involved in all aspects of the Electronics Industry supply chain. HDP User Group provides an environment whereby companies can share the effort and results of projects and activities to address the issues facing the industry, thereby significantly reducing the cost and improving the efficiency for all member companies. Advanced and emerging component packaging. Latest and next generation soldering technologies. PWB and component substrate materials evaluations. 1. To promote and protect the rights and interests of the printed circuit industry. 2. To represent the industry and present its views to the Government and/or other parties. 4. To establish and manage funds for charity purposes. The ICT was established in 1974. Since then, it has successfully provided technology based training and seminars to the UK's PCB technologists and engineers, keeping them up to speed with developments in the industry. * The ICT is dedicated to technical aspects of Printed Circuit Board Manufacture and Assembly. * The ICT was originally established as a forum for discussion on technology matters relating to printed circuit interconnection. This has now been expanded to include their assembly and related technology. * The ICT facilitates this improvement in standards by providing opportunities for its membership to improve their knowledge of manufacturing process technologies, materials, and practices through research, discussion and seminars around the country. * The ICT operates a grading procedure for membership that will enable industry to measure the levels of specialist education, skills and experience.The membership is graded into Fellow, Member and Associate, designating the level of expertise and experience. The IEC provides high-quality educational opportunities for engineering and communications professionals, academics, and students via events, publications and on-line education. ISQED also produces the International Symposium on Quality Electronic Design, the Asia Symposium on Quality Electronic Design and the International Solar Energy Technologies Conference. IEEE ("eye-triple-E"), The Institute of Electrical and Electronics Engineers, Inc., helps advance global prosperity by promoting the engineering process of creating, developing, integrating, sharing, and applying knowledge about electrical and information technologies and sciences for the benefit of humanity and the profession. iNEMI / International Electronics Manufacturing Initiative, Inc. The International Electronics Manufacturing Initiative (iNEMI) is an industry-led consortium whose mission is to assure leadership of the global electronics manufacturing supply chain. With a membership that includes approximately 70 electronics manufacturers, suppliers, associations, government agencies and universities, iNEMI provides an environment in which partners and competitors alike can collectively anticipate future technology and business needs and effectively develop collaborative courses of action to meet those needs. To promote the state-of-the-art PCB technology and business in the country by mutual exchange of ideas and technical interactions arranged through Seminars, conferences etc., periodically. * The Association is a voluntary, non-profit, service oriented professional organization. * IPCA Membership is open to PCB designers, PCB manufacturers, EMS companies, other users, suppliers of equipment and raw materials and their authorized representatives. 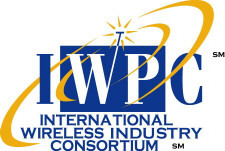 The IPC is a United States-based trade association dedicated to furthering the competitive excellence and financial success of its members worldwide, who are participants in the electronic interconnect industry. In pursuit of these objectives, the IPC will devote resources to management improvement and technology enhancement programs, the creation of relevant standards, protection of the environment, and pertinent government relations. The IPC encourages the active participation of all its members in these activities and commits to full cooperation with all related national and international organizations. The Consortium is a Pro-Active International Community of WIRELESS AND RF PRODUCT OEM's and their SUPPLIERS. JEDEC is the leading developer of standards for the solid-state industry. Almost 3300 participants, appointed by some 295 companies work together in 50 JEDEC committees to meet the needs of every segment of the industry, manufacturers and consumers alike. The publications and standards that they generate are accepted throughout the world. All JEDEC standards are available online, at no charge. The Automated Imaging Association (AIA) is the global machine vision industry’s trade group, representing more than 290 member companies from 26 countries. Founded in 1984, membership includes manufacturers of complete systems, components, suppliers, system integrators, distributors, end users, consulting firms, academic institutions and research groups directly involved with machine vision and imaging. AIA was organized specifically to promote the use of image capture and analysis technology. Key activities include administration of standards development for the industry (including GigE Vision™ and Camera Link®); publishing an annual in-depth Machine Vision Market Study; sponsoring The Vision Show and the International Robots & Vision Show; providing educational workshops, conferences and networking opportunities throughout the world; sponsoring the annual AIA Business Conference; publishing the annual printed Machine Vision Industry Directory; and hosting Machine Vision Online, the world’s leading resource for machine vision information. MEPTEC is a trade association of over 500 semiconductor professionals committed to enhancing the competitiveness of the back-end portion of the semiconductor business. MEPTEC is concerned exclusively with assembly, packaging and test issues and is dedicated to the advancement of that segment of the industry. Whether you're a manufacturer looking to hire the best qualified independent representatives in the electrical industry, or an independent representative looking for advice on best practices or a means to network, the National Electrical Manufacturers Representatives Association - NEMRA - is here for you. Founded in 1969 by 32 independent representatives, NEMRA has become a leading force in the electrical industry marketplace. NEMRA's membership is comprised of about 500 representative firms, with more than 4,500 highly trained salespeople, and about 250 manufacturer affiliates. The PCMI was founded in the United States in 1967. Quickly added to the membership list were companies from England, Germany and Japan. This was the beginning of what is now a truly international organization. Today PCMI has member companies in 20 countries on 6 continents. PCMI is different from most trade associations and professional societies because it represents a broad cross-section of all segments of the Photo Chemical Machining Industry's technology. It includes companies that are manufacturers and companies that are users of photo chemically machined parts, as well as companies that supply raw materials, equipment and services used to produce its products. The purpose of the PCMI organization is to monitor developments in photo chemical machining and to address problems that may affect the process or the industry worldwide. The Society of Manufacturing Engineers is dedicated to bringing people and information together to advance manufacturing knowledge. We are internationally recognized by manufacturing practitioners, companies and other organizations as their source for information, education and networking. Through our member services, publications, events, professional development resources and chapter and technical community networking activities, our Society keeps professionals up to date on trends and technologies. Through recognition activities and industry alliances, we promote an increased awareness of manufacturing engineering and advocate for improvements and investments in education. Taiwan Printed Circuit Association (TPCA) with its goal as a non-profit association was officially established on 18 March 1998. The objective of this establishment is to provide: development material on local and overseas printed circuit board, organize members gathering, representing the country to participate in international printed circuit board activities, promoting common interest, enhancing the overall competitiveness, hoping to promote the industrialists’ culture information exchange, and sharing of resources through various activities that were organized. By maintaining the relationship with overseas association and experts, it helps to promote the competitiveness for Taiwan circuit board industry. The Foundation's purpose is to provide a neutral platform for debate of policy issues that have a science, technology or medical element. The Foundation organises dinner/discussions and workshops on relevant issues when parliament is sitting. A printable list of the titles and dates of the events listed below is available for download. To view the journal click on the icon on the FST Journal panel. The Association for Electrical, Electronic & Information Technologies is a non-profit association for electrical science and technology. It was founded in 1893. More than 34,000 engineers, natural scientists and technicians are members of the VDE. In addition there are some 1,000 corporate members, including all important companies of the electrical and power industry as well as numerous federal authorities. On the regional level the VDE is represented by 34 local sections and 55 branch offices. The registered seat is Frankfurt am Main.